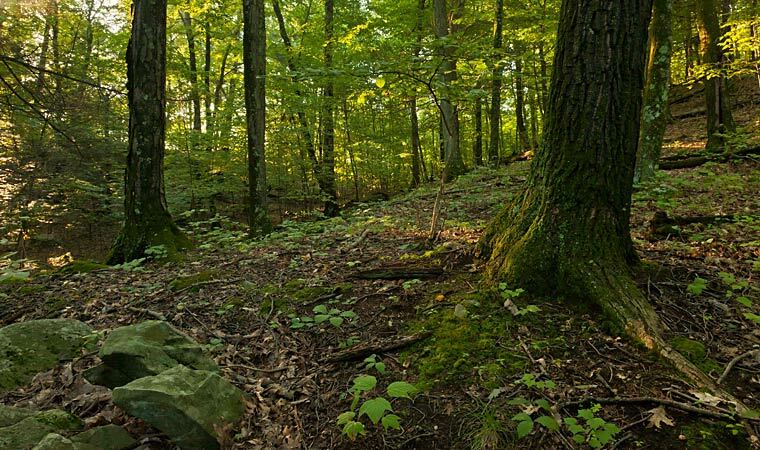 In August 2011, Scenic Hudson protected 87 acres that expand our popular Shaupeneak Ridge Preserve by 15 percent. The Frog Hollow acquisition will allow an expansion of the trail network at Shaupeneak Ridge Preserve. Robert Rodriguez, Jr. This transaction increases the size of Scenic Hudson’s Shaupeneak Ridge Preserve by 15 percent, expanding to nearly 800 acres this prime destination for hiking, bird-watching, mountain-biking, fishing, hunting and school field trips. The forested land includes several small streams and ridgelines that offer the potential for providing dramatic Hudson River views. The property already contains a network of well-maintained trails. The seller owns an adjacent 53-acre horse farm and training facility where she trains and boards horses, and offers lessons for in dressage for students of all ages. Lying within the state-designated Shaupeneak Ridge Biologically Important Area, the property further safeguards interconnected habitat networks on which many wildlife species depend. Like all wood- lands, it also sequesters carbon and other harmful pollutants, and collects and purifies water that filters into the ground to recharge the local aquifer, a community’s prime source of drinking water. The acquisition is part of Scenic Hudson's collaborative campaign to Save the Land That Matters Most, conserving properties of the greatest scenic, ecological and agricultural significance.